Lots could be done with this property! Check out this 5-bedroom, 3-bathroom colonial-style home in Franklin County. It has hardwood flooring, an unfinished basement and an attached 2-car garage. 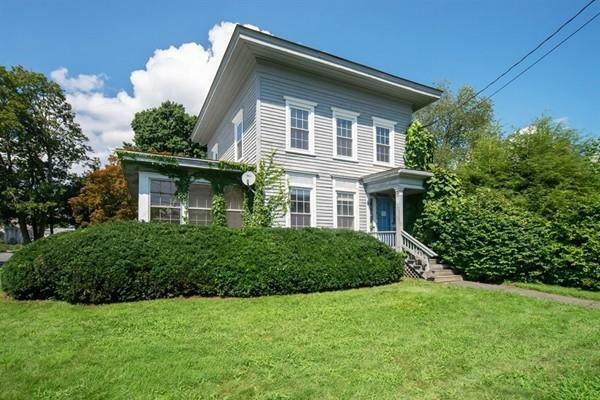 Property was built in 1862 that offers generous space to move about in and is approximately 3,396 square feet. Don't miss out on this one! Listing courtesy of Martin Dietter of Marty's Real Estate. Disclosures Sold in As is/where is Condition. Seller Has No History On Property. Buyer Responsible For Smoke Certificate & Final Water Reading. Buyer To Pay $299 Web Tech Fee At Closing. Sq Ft Disclosures Buyer To Verify Data And Use. Seller Does Not Have A Plot Plan. Listing provided courtesy of Martin Dietter of Marty's Real Estate.